While predicting battery life isn’t an exact science, there are a lot of factors that can affect it, as well as indicators that can let you know your battery may be on its last leg. 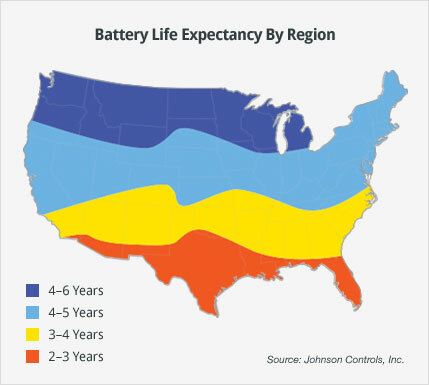 When it reaches three years of age, it’s good practice to watch for signs that your battery could fail. Keep an eye on your lights when the engine is off. If they’re dim, your battery is getting weak. Similarly, watch for warning lights, corrosion on the battery’s terminals and difficulty starting your engine. Should any concerns arise, be sure to stop by Ron Hibbard Toyota so we can test your vehicle’s battery and advise you on the best course of action. 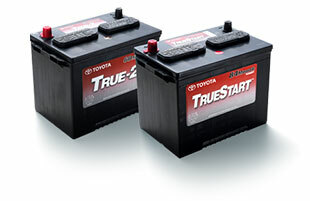 When the time comes to replace your vehicle’s battery, turn to the technicians at Ron Hibbard Toyota. Our specially trained staff has the knowledge and skills needed to make sure your Toyota is operating at its best. 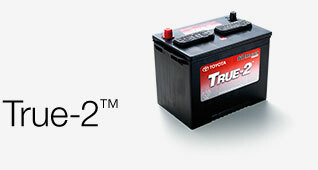 Similarly, treat your Toyota to the best by equipping it with a Toyota TrueStart™ battery that’s specially designed to optimize your vehicle’s performance. You’ll enjoy Toyota’s high standard for performance, and your Toyota will thank you.